The Formula SAE or Formula Student is an international design competition, for which technically oriented students accept the challenge to develop a single-seat formula race car, design it, and ultimately build it. The international student teams then compete with the vehicles they constructed in competitions all over the world.. The Formula SAE competition forms a connection between the theory learned at a university. The concept behind is that a fictional manufacturing company has contracted a design team to develop a small Formula-style race car. Each student team designs, builds and tests a prototype based on a series of rules whose purpose is both to ensure onsite event operations and promote clever problem solving. 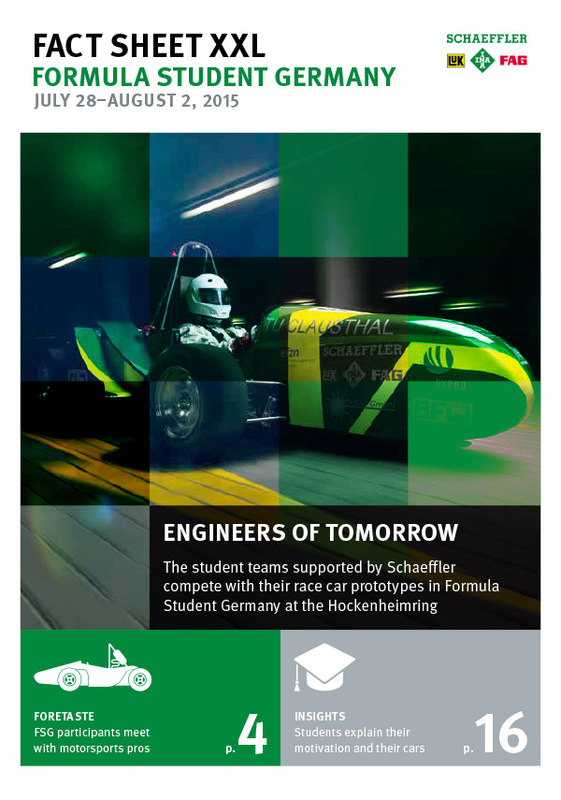 Schaeffler is one of the main sponsors of Formula Student Germany, FSAE Italy, Formula Student Spain und FSAE Brasil. Furthermore, Schaeffler is a supporter of several teams in various countries. The Formula SAE provides an ideal platform for students to test their engineering expertise in practice and in a competition and, at the same time, to develop a comprehensive understanding at numerous different levels. This makes participants popular applicants. As a sponsor, we are in close contact with the teams and provide support to the students with internships, theses, and starting their careers at Schaeffler. From 9th to 14th of August the Formula Student Germany took place at the Hockenheimring. 111 student teams of universities from around 25 countries competed highly motivated with their own racing cars. 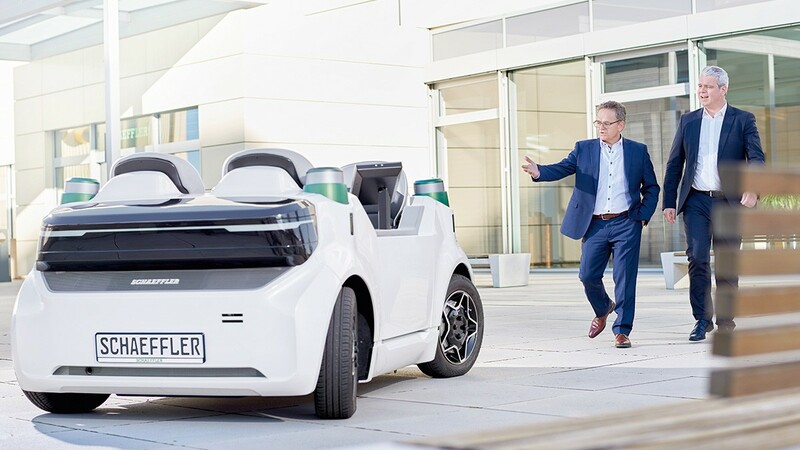 For the third time and under the motto “Recharge Zone” Schaeffler was one of the main sponsors of the event and informed participants about possibilities of working together with Schaeffler in creating mobility for tomorrow. “Through their commitment in such a competition, the students show their team spirit, creativity and passion for technology. Characteristics, which are highly estimated by Schaeffler,” found Chief Human Resources Officer Corinna Schittenhelm during her visit of the Formula Student.